High-level talks aimed at securing a free-trade agreement with the United Kingdom have begun in earnest, after British Trade Minister Mark Price swept into town last week. Lord Price, who met with his Australian counterpart Steven Ciobo in Canberra on Wednesday, pledged to secure a “vibrant trading future” for the two countries, which trade $23.2 billion worth of goods and services each year, and are the first to form a bilateral trade working group since the referendum to leave the European Union. “In light of the events of the past few months, it’s vital that our trading relationship is strengthened,” Lord Price told a gathering of business leaders in Sydney. The UK is the second largest investor in Australia, with more than $375 billion (£220 billion) of capital pouring into the country each year, while more than 1500 Australian businesses have set up shop in the UK. How Brexit will impact on these companies remains unclear; the formal process required to trigger Article 50 is subject to a complex legal debate being played out in the Supreme Court this week. Britain cannot yet sign its own trade deals until after it has left the EU. But international leaders are wasting no time in kicking off free trade negotiations with Lord Price, who has pledged to put his country “at the centre of an increasingly interconnected world” and fight “creeping protectionism”. “I am delighted that Australia is the first market since the Referendum that the UK has a bilateral trade working group with,” Lord Price said. Speaking at a lunch hosted by the Australian British Chamber of Commerce on Thursday, the former head of the Waitrose supermarket chain said he had travelled to 90 countries and met with more than 25 trade ministers — and hundreds of business leaders — in the aftermath of the vote. “All that I’ve spoken to have been committed to smooth transition,” he said. 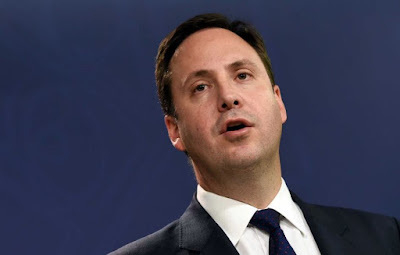 Mr Ciobo said in a statement that the two ministers had held a “productive discussions on the early priorities for the Trade Working Group and parameters of a future ambitious Australia-UK free trade agreement”. “At a time when the outlook for global growth is uncertain, it makes sense for us to seize this opportunity to put our future economic relationship on the strongest possible future footing,” he said. What Will A Free Trade Agreement Look Like? Australian British Chamber of Commerce chief executive David McCredie was optimistic about the prospect of a free-trade agreement between the UK and Australia. “The opportunity is massive and we are only really just scraping the surface of what we could do,” Mr McCredie told News.com.au. While Australia doesn’t have many import tariffs, the luxury car tax and import duties like the 5 per cent excise on Scotch whisky — in contrast to Bourbon from the United States, to which no tariff applies — could be up for negotiation. “One of the largest Toyota manufacturing plants in the world is actually in Derbyshire, and it exports vehicles to Australia,” Mr McCredie said. But imported British goods would only be a small part of the puzzle, said RPS Group economist Mark Wallace. “They’re dwarfed by the US, Japan and China,” Mr Wallace told news.com.au, adding that New Zealand was a bigger export market for Australian goods than the UK. 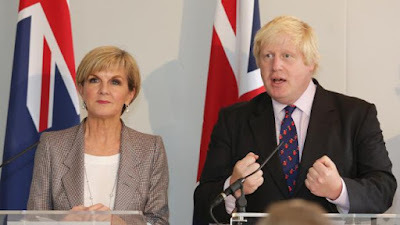 While Brexit campaigner Boris Johnson — now Britain’s foreign secretary — has advocated a “free mobility labour zone” between Commonwealth countries, no practical steps have so far been taken to make this a reality. “So a free-trade agreement might be an opportunity to genuinely negotiate to make it easier for Australians to go to England,” Mr Wallace said. Even if negotiations with Australia were accelerated, he said, it would likely take five to six years before any changes came into effect. And it all hinges on what sort of deal is struck between the UK and EU, a lengthy process in itself. In the meantime, Lord Price reassured the Australian business community that his government would “continue to champion an EU liberal trade agenda, such as the EU-Australian free trade agreement”, while “aiming to reset and revive our relationship with the EU and, crucially, with the rest of the world”.